LoA_Send Roses to Your Beloved, Win Wedding Garb for them! Description: send roses to your beloved to get her/him the gorgeous Wedding Garb! - Each day, the top 10 players who receive the most Roses and have at least 999 points will get Daily Ranking rewards; at the end of the event, the Top 10 players who have received the most Roses and have at least 2999 will have a chance get Charmer Flair and many other rewards. Description: Recharge certain amount every day of Diamonds to get Roses! Description: Collect your Century Chest from the Hot Events menu every time you recharge 1000 Diamonds! (Max 5 times). Open the chest to receive one of the following: Blessed Stone x100, Seraph's Stone x100, Soulstone x100, Element Crystal x100, or Basic Energy Card (10) x10. Description: who is the Superstar in League of Angels? 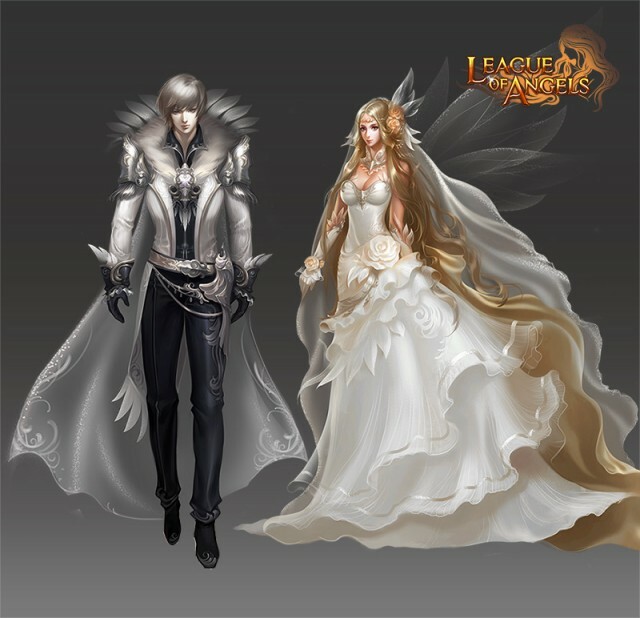 Post your photo with League of Angels related elements to win Seraph's Stones, Aegis Shards, and Diamonds, and event Wedding Garb. Click here to participate. More exciting events are coming up through April 10 to 11. Check them out in the in-game How Events menu now!